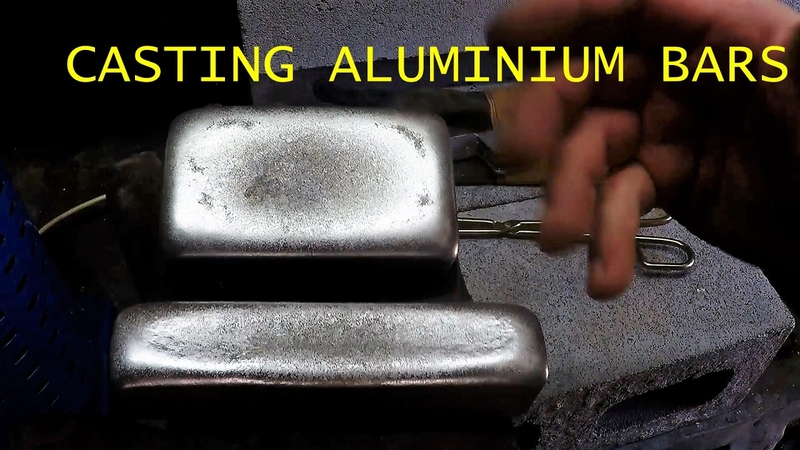 One comment I got that answered some questions in the video was..
Aluminum is very reactive to oxygen, so much so that it nearly instantly forms a bond with oxygen from the air creating aluminum oxide. Aluminum oxide has a much higher melting point and is very hard. Fortunately it is also nearly impermeable to air. Any aluminum will form a skin of aluminum oxide that will prevent the rest of the aluminum from oxidizing. Those bars that were just poured already have a skin, so if you melt them down again you will still get even more dross. Less than what you got from the scrap as your bar has less surface area. I had some scrap yards say the same... They don't know if you put rocks etc in the middle of the cast to also add weight and the magnet is not going to pick it up. That's just silly, do scrapyards buy copper pipe? do they cut them open to find rocks? could say that about anything but in reality a rock wouldn't sit in a casted bar without it being noticed, it would float to the top or stay at the bottom, almost impossible to do a bar like that. And they could always drill a hole into it. Finally, no-one pours bars to sell as scrap metal, what would be the point? Yep,once ally is melted ,its worthless to a scrapyard......but not to an amateur caster............When I was a kid,a neighbour used to make ally pulleys in his backyard ,and used old motorbike crankcases and heads for scrap..............Now I shudder to think how much valuable bikes he wrecked........but in the sixties ,Indians and Harleys were just old junk. I think I will melt some aluminium into ingots before I try copper and brass, seems the lower melt point should be better for a novice.